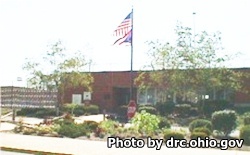 Warren Correctional Institution is located in Lebanon Ohio. It is a close custody prison that houses male offenders. The maximum capacity of Warren Correctional Institution is 750, currently is houses about 1,405 inmates which is well above the rated capacity. This facility has the second highest inmate-on-inmate assault rate of all Ohio prisons. Additionally, this facility appears to have issues controlling illegal substances, as many inmates have tested positive for narcotics. An intensive treatment program at Warren Correctional Institution provides care for offenders with mental illness. Warren Correctional Institution participates in the correctional industries program employing inmates in a notebook binding and tubular furniture operation. Vocational skills taught at this prison include horticulture, computer repair, and electrical. Inmates can also work with dogs in the adoptable dog program. Religious worship services are available to inmates through the Chaplain's office. Visits at Warren Correctional Institution are by appointment only. You must schedule your appointment at least three days in advance by calling (513)-932-9741 Wednesday-Sunday from 1pm-6pm. Visitation occurs in three sessions on Wednesdays, Thursdays, Fridays, Saturdays, and Sundays. The first visiting session is from 12pm-2pm (processing ends at 1pm), the second session is from 2:30pm-4:30pm (processing ends at 3pm), the third session is from 5pm-7pm (processing ends at 6pm).